Characterized by its great adaptability and physical prowess, the German Shepherd Dog is respected, admired, and utilized throughout the world. One of the most easily recognized and one of the most popular of all breeds, it is acclaimed for its versatility, renowned for its intelligence, and beloved for its devotion and loyalty to its owner. Surprisingly, the GSD has been in existence as a distinct breed for only about 90 years. The breed traces its ancestors to a widely diverse group of shepherding and farm dogs in Germany. In the late 19th Century, informal breeding groups of sheepherders banded together through a common interest in their dogs and attempted to produce dogs with the desired working attributes. The initial group disbanded, but another society formed in 1899 flourished. 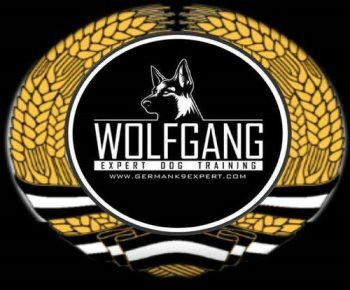 This group, Der Verein fur Deutsche Schaeferhunde (sv) was founded by Max von Stephanitz, a cavalry officer known as the father of the breed. The GSD came to the US as early as 1908, but its popularity rose dramatically after World War I, when returning soldiers told of the heroic dogs' work with the Red Cross, at the front, for the police, and on guard duty. In addition, Rin Tin Tin and Strongheart, two beloved silent film stars, captured the hearts of the American public. Today, the German Shepherd is distinguished for his loyalty, courage, and ability to retain training for a number of special services. Members of the breed are widely used by police officers and the military, as guide dogs for the blind, guardians, drug and contraband detection dogs, and Search and Rescue dogs. Most, however, are purchased to serve the important role of devoted family friend and protector. A sound temperament is of the utmost importance in a good companion. Temperament is inherited, and therefore is a direct result of the dog's breeding. The character of the German Shepherd Dog is one of self-confidence and nobility. Although a mature German Shepherd will not wear his heart on his sleeve, he should be approachable and outgoing. Strangers may be regarded with some suspicion, but the dog should be neither overly sharp and aggressive nor cringe with fear. A sound German Shepherd makes an excellent companion. An unsound one is a disaster waiting to happen. Because of a desire to have a family protector, many GSD puppy buyers think they need a very dominant, aggressive dog -- an unwise choice for a family. Sound GSDs are naturally protective of their homes and families. Puppies will begin to show some awareness of "their" people and "their" space at about five or six months of age and will display a desire to warn of approaching strangers. An alert dog and a few warning barks is all the protection most families require. For those who have a true need for more serious protection, a sound, balanced dog is still the best choice. Such a dog can be trained in formal personal protection by a competent instructor. An overly aggressive or unsound dog should not be trained in protection, for it will be a danger and cannot be trusted. Anyone planning to acquire a personal protection dog should choose the dog and the trainer carefully, for a poor dog or a poor trainers can court disaster. On the physical side, the German Shepherd is of middle to large size with enough weight to be effective as a herder or a patrolman, but not so big as to be cumbersome. This is a trotting dog that can cover a lot of ground very gracefully, with almost no effort. The impression of the dog should be one of ruggedness combined with nobility, power, agility, and elegance. The GSD generally weighs 75-95 pounds, with males usually larger than females. Males can be 24-26 inches at the withers (top of the shoulder blades), and females 22-24 inches. Although larger dogs exist,this is the correct size for the show ring excessive size is not desireable here. But as a family protector The German Shepherd can be large Males can be 27-30 inches at the withers (top of the shoulder blades), and females 25-29 inches generally weighing 95-120 pounds. Puppies of different breeds at different ages grow at different rates, and puppies of different breeds grow at different rates. To estimate the size of dog your puppy will grow up to be, use the chart on the right. Find your dog's age, and then draw a line straight up until you find your dog's weight. Then follow the nearest curve or make an imaginary one and follow it over to 30 months of age. Read the corresponding weight for that age.This will approximate the weight your dog will be at adulthood.Remember, this is only an estimate. Generally, an adult dog will weigh about twice as much as he did when he was 4 months of age; giant breeds will double what they weighed at 5 months. Popularity of the breed has led to a great deal of diversity. Colors are black and tan, black and red, black and cream, black and silver, solid black, sable, and white. White is considered to be a fault in the US and white shepherds cannot enter breed classes at shows. Coats come in a variety of lengths from short to long. Long coats are a fault in the show ring. Since many fanciers have specialized in a single area of interest, some dogs are better suited for the show ring, some are better suited for protection training or obedience competition, and some are best suited to be good home companions. While each of these roles is not mutually exclusive, a knowledgeable breeder can be a big help in selecting the right dog to fit your needs. Those considering a German Shepherd Dog as a family addition should make sure that this breed is the best fit for the situation. The dogs are strong in body, spirit, and mind. They need much attention, love, and firm guidance as they grow -- which they do quite quickly. As a gawky, awkward teenager, a GSD may unintentially knock over a small child or a frail elderly person. Their strong, happy tails can clear tables, and their powerful jaws and teeth wreak havoc on furniture. This is a slowly maturing breed with a long puppyhood, so the new owner must be prepared to provide kind but firm discipline and a secure environment to help the dog develop into a well- behaved adult. German Shepherds are active dogs. They love to run and explore their surroundings with their excellent noses. They require considerable exercise, especially while growing. This exercise can be provided by an active owner, another dog or two, or a fenced yard or dog run. Tying this dog to a house is unacceptable, as it will create frustration, boredom, and a potentially dangerous dog. German Shepherds are very sociable dogs. They need attention and companionship. They do not do well if left in isolation from people and other companion animals. They make excellent family dogs, because, although they sometimes pick one person as their special person, they can relate well to all members of the household. If they are raised with children, they will develop an abundance of tolerance to the grabbing and poking of tiny fingers. Raising a puppy with young children takes extra patience and effort for parents. Often the fast-growing puppy will use his teeth in playing with children and their toys, sometimes resulting in scratches. Young children often excite puppies who want to wrestle and chase -- like they did with their littermates. Children can undo all the work a parent has done in training the puppy because a small child is neither firm nor consistent with the pup. As long as parents realize that they will need an extra dose of patience, the German Shepherd puppy can grow up side by side with the children and be a source of lasting memories for all. 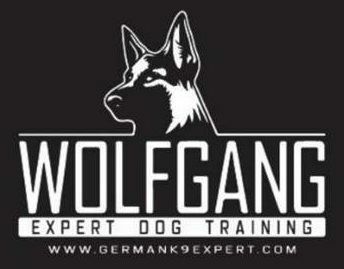 German Shepherds are keenly intelligent and enjoy learning. Basic obedience training is excellent for them. Many of them enjoy learning tricks as well (or more!) This is a natural breed, meaning that it does not require clipping or unusual grooming. Only occasional baths are needed. German Shepherds are double-coated with a coarse, water-resistent outer coat and a heavy, woolly undercoat. They are heavy shedders, especially in spring, and require regular combing. This is definitely not a dog for those who cannot abide dog hair on the furniture, carpets, clothes, etc. As with many breeds, popularity has had its drawbacks. Many dogs of poor quality and unsound temperament have been brought into the world by unknowing and puppy mills. Many of these unfortunate puppies are in poor health and have genetic abnormalities and poor temperaments. So, if you've decided to buy a German Shepherd, it is well worth your while to find a responsible breeder with a broad knowledge of the breed and the ancestors of the dogs he is working with. Although its helpful, just having Mom and Dad on the premises is not a hallmark of a good breeder. A responsible breeder will know about the hereditary problems in the breed, have a working knowledge of genetics, and will take precautions to minimize the chances that your pet will endup with a health or temperament problem. A responsible breeder will also offer a written sales contract and a written guarantee of the health and soundness of their puppies. He wants the puppy you take home to be a welcome and successful addition to the family as much as you do and will make every effort to match the right puppy with you. Good breeders can be found through referrals from veterinarians, breed or kennel clubs, established kennels, and training clubs. Prospective puppy buyers can talk to breeders at dog shows. Before purchasing a GSD, visit a dog show or observe a training class to decide if you are interested in training and competition. If so, the breeder can assist in selection of the puppy that has the most promise in these areas. Even if you do not intend to compete, basic obedience training is a must. The German Shepherd Dog has a proud and distinguished heritage. A sound dog, raised well, makes an owner forget that other breeds even exist. If this is the breed for you and your family and you want a large german shepherd, you will never have a better friend.